The Army said yesterday it would extend a deadline for the public to comment on the basing of a Stryker brigade in Hawaii. The Army had said earlier it would accept public comments on a draft environmental impact statement through Sept. 4, but it will now accept them through Oct. 30. The report analyzes basing options for the brigade, including leaving it in the islands or moving it to Alaska or Colorado. The move provides the public more time to review the report, the Army said in a news release. Robert DiMichele, a U.S. Army Environmental Command spokesman, said he was unaware of anyone complaining the comment period was too short. The report, issued last month, said keeping the unit in the islands will significantly affect threatened and endangered species. But it also said the Army has developed measures to limit the brigade's effect. Native Hawaiian groups have objected to basing the brigade in the islands, saying the unit's 4,000 soldiers and its 320 armored Stryker vehicles would hurt the islands' environment and desecrate cultural sites. The Army also plans to reschedule hearings to discuss the report. Meetings were planned for August, but they now are set for October. 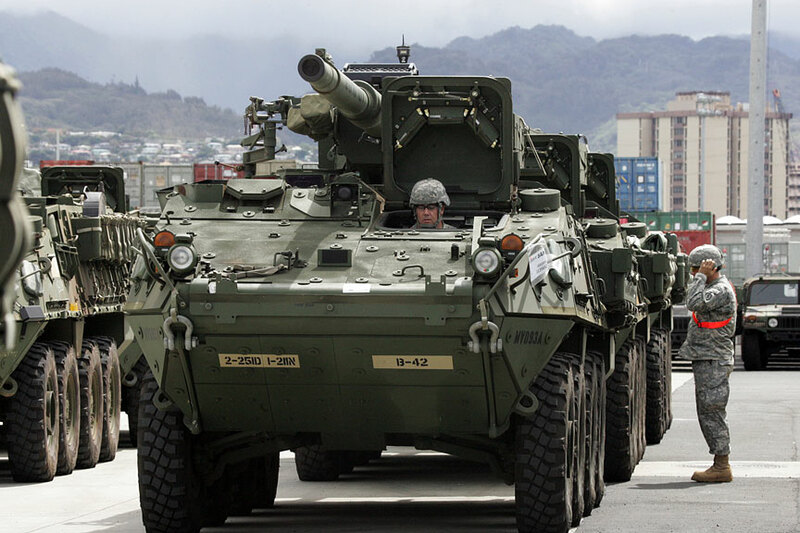 The Army has already taken steps to base a brigade in Hawaii by bringing Stryker vehicles and soldiers here. But a federal appeals court ordered the Army in October to suspend its plans, saying the service violated the law by failing to thoroughly consider alternatives to basing the brigade in Hawaii. The Army completed the current report to comply with the ruling. The court allowed some training to go forward so soldiers could prepare for a planned deployment to Iraq. A draft environmental statement says alternative sites to Wahiawa for the Stryker brigade are Fort Richardson in Alaska or Fort Carson in Colorado. Written comments can be sent to Public Affairs Office; U.S. Army Environmental Command; Building E-4460; 5179 Hoadley Road; Attention: IMAE-PA; Aberdeen Proving Ground, MD 21010-540. Bulletin reporter Gregg K. Kakesako contributed to this report.